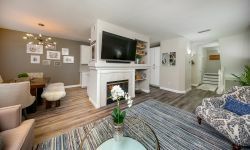 Stunning townhouse style condo located in the Dublin Green. Home features 3 bedrooms, 3 baths & 1693 sqft. Main level a large bedroom, full bath, walk in closet with access to a patio. Gorgeous remodeled kitchen with white cabinets, subway backsplash, stainless steel appliances & quartz counters. New chandelier in dining area. Cozy gas fireplace in living room. Top floor spacious master suite with walk in closet, double sink vanity & views. High ceilings. LED lights. Beautiful wood floors throughout. In unit laundry. 2 car attached garage with plenty of storage and interior access. Property located in a desirable destination great for commuters & convenient living. A bus stop 100 feet from front door that is timed to the BART schedule. 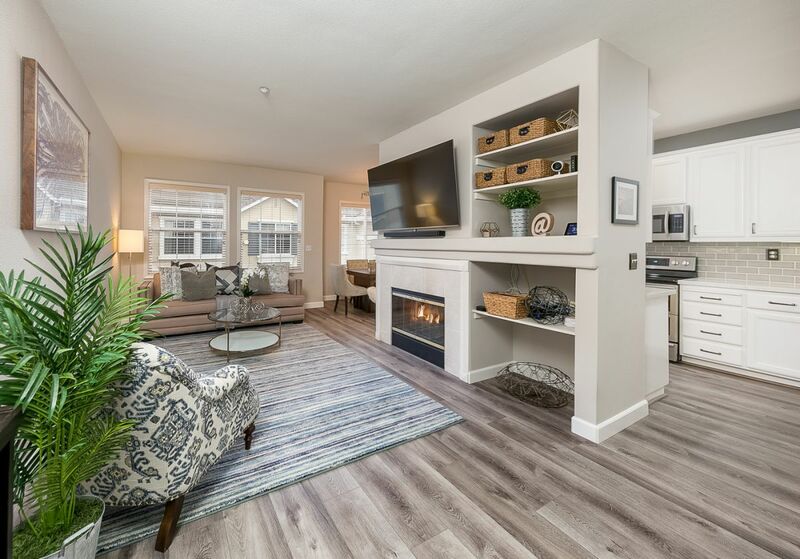 Minutes to shops, restaurants, Hacienda Crossings, Whole Foods, Safeway, Ranch 99, cafes, freeways, top rated schools, Emerald Glen Park, Dublin Waterpark, entertainments, hospitals, Lowes, San Francisco Premium Outlets & Stoneridge Mall. HOA $220/mon. Covers for trash, exterior maintenance, building insurance, pool & landscaping.